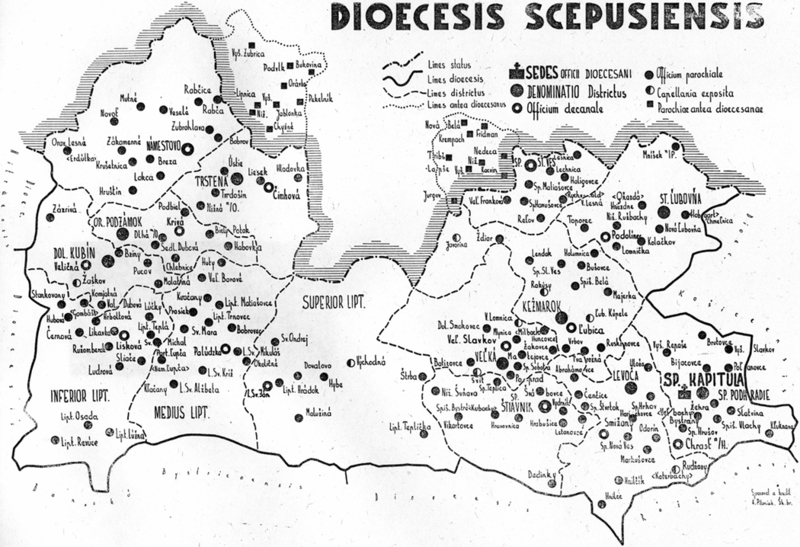 This is a copy of an historic map of the region of Slovakia administered by the Roman Catholic seat in Spisska Kapitula just after 1920. It included most all of the then Orava, Liptov and Spis counties. The two small areas bordered by dashed lines in the north represent "Polish Orawa" on the left and "Polish Spisz" on the right. These were areas of Slovakia given to Poland in 1920. Click here to return to the TARG Sphere Map. Click here to return to the Home Page.